Vancouver is now one of the first cities in North America to adopt a 100 per cent Electric Vehicle (EV)-ready policy for all new multi-unit residential buildings. Vancouver City Council approved the recommendations made in the EV Ecosystem Program Update last week. The previous requirement of 20 per cent EV parking spots meant a limited number of residents had access to an outlet. The actions will help reduce carbon pollution and improve air quality by increasing opportunities for residents to move away from fossil fuel vehicles. Vancouver is also expanding charging station infrastructure across the city, and developing a preferential parking policy for zero emissions vehicles. 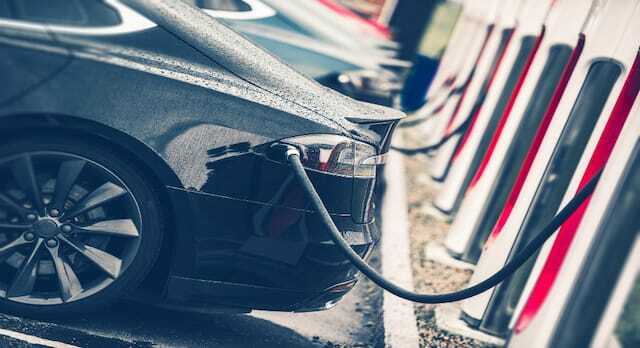 Plans are to add more DC fast charging points, which can provide up to 200 kilometres of range in an hour. The goal is to put all Vancouver residents within a 10 minute drive of a DC fast-charging station by 2021. A DC fast charger will be installed at Science World, and the number of DC fast chargers available at Empire Fields in east Vancouver will be expanded. BC Hydro will also add DC fast chargers at their head office and in Kerrisdale. The cost of adding charging infrastructure in the construction phase of a building is much lower than retrofitting a building later on, which will save residents up to $3,300 and avoid the more complex process of increasing electrical capacity in the future. Since 2014, the existing requirements have resulted in approximately 20,000 EV-ready stalls in buildings.